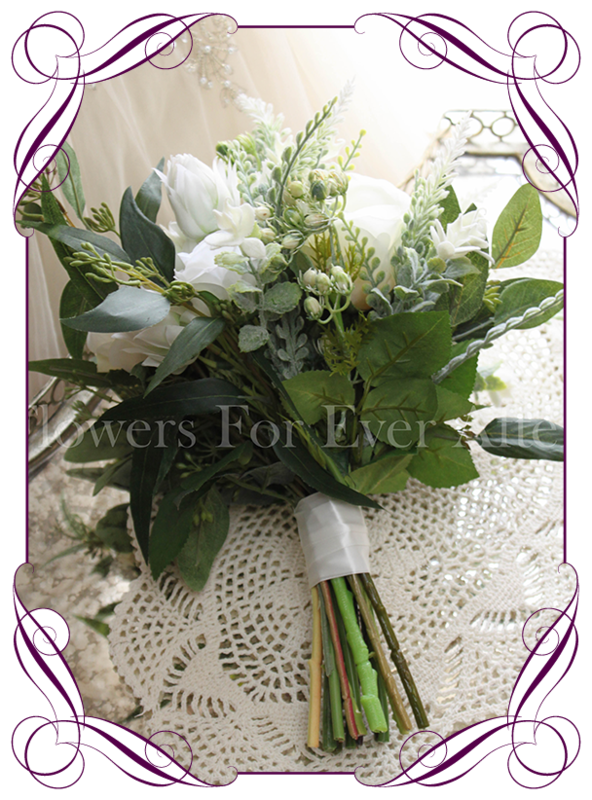 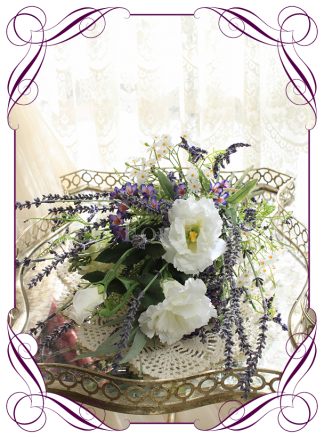 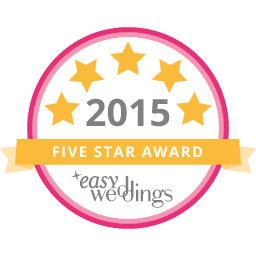 A gorgeous textured posy of white silk blooms in a dusty foliage setting. 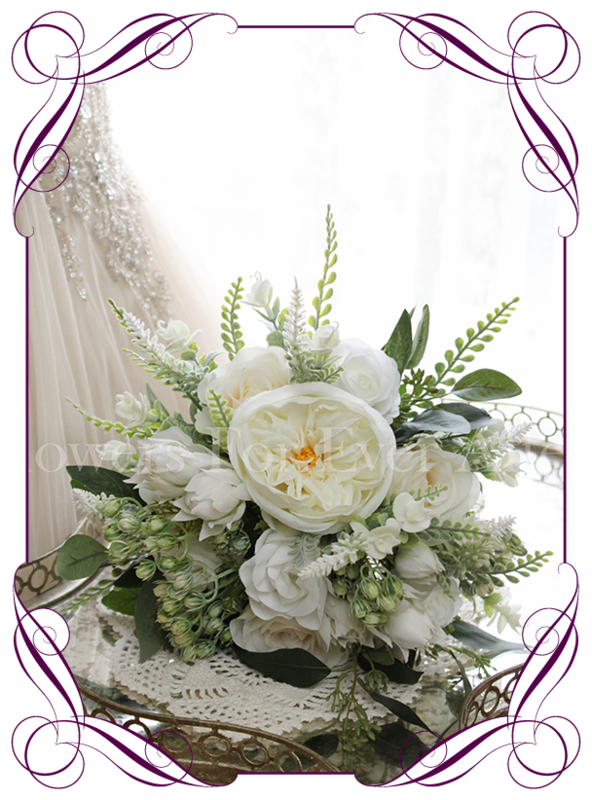 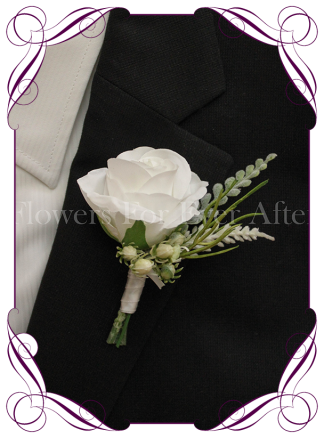 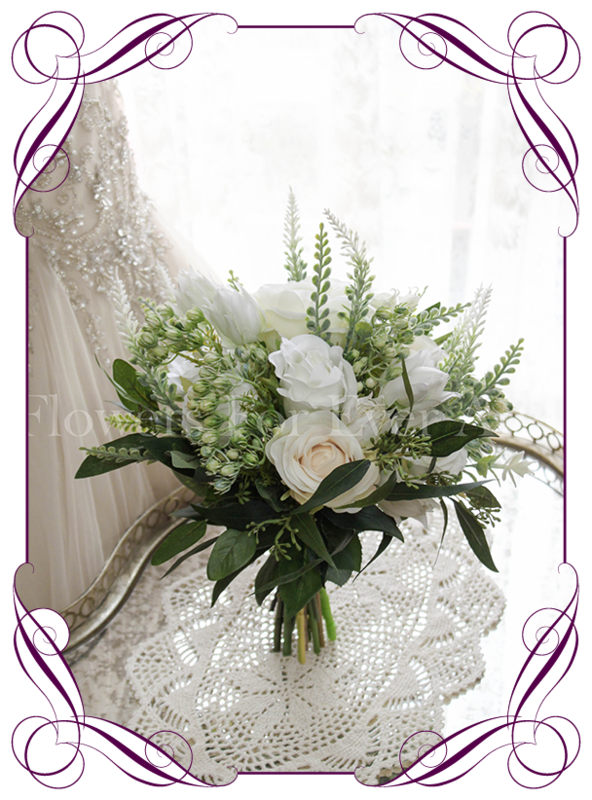 Features a white half bloom roses, off white bailey rose, ivory classic roses, white bushing bride protea, white flocked mini orchid sprays, white/green brier berries, flocked white cascara, and green seeded gum foliage the the base. 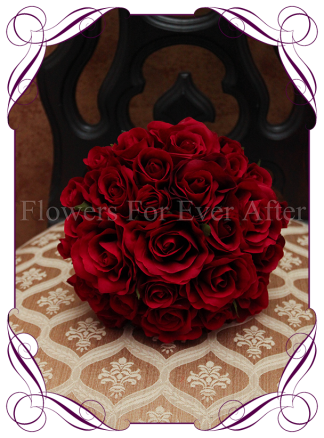 Measures approximately 23cm across not including the cascara and foliage spray. 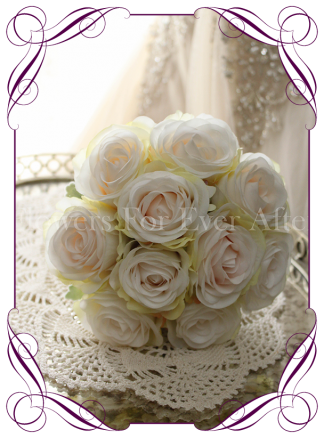 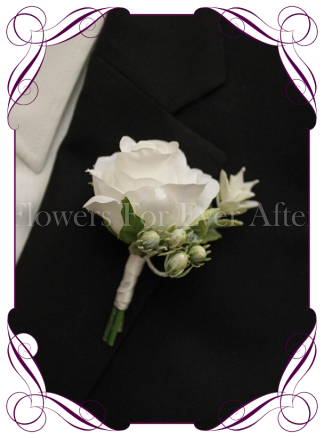 Bouquet handle can be finished in one of the options in the drop menu below.